I talk to a lot of project managers at networking events and recently gave a presentation about the similarities and differences between PRINCE2, PMP and CAPM. Afterwards, there were a lot of questions. That’s to be expected: training is a big investment both financially and in terms of time, so you want to make sure you have chosen a path that will give you the best return. The problem is that people want me to make that decision for them. It puts me in a difficult situation and people don’t like the answers. 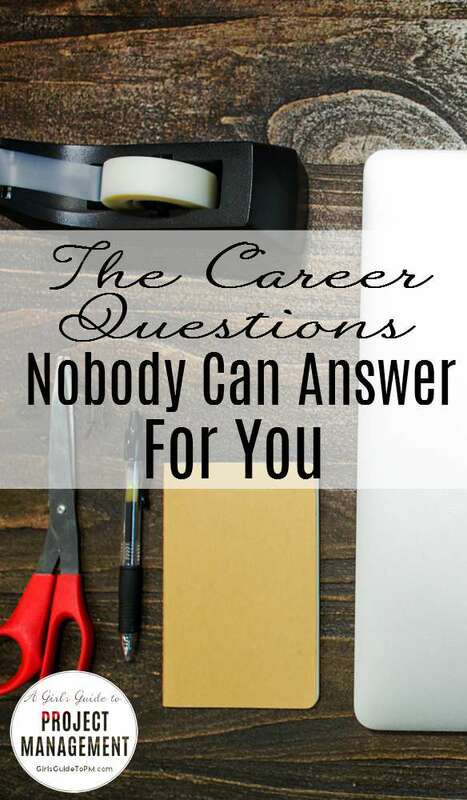 Here are some of the impossible career questions that people have asked me in the past, both at events and via email, and the answers that they didn’t want to hear (although I was more polite in real life). Identifying details have been removed. Erm… a management course? Or do you mean project management? How much experience do you have in your domain, and what industry do you work in? What does your employer value and where do you want to be in 10 years? Based on the information you have provided I cannot possibly give you advice. If you want personalised career coaching I need to know more about you. Or you could do your own research and plan your own career and choose what meets your personal goals. What do your colleagues have? What does your employer want you to have? What sort of projects do you work on and why do you want a project management certificate anyway? I can’t advise you just from one sentence. And frankly it’s better for you to work this stuff out for yourself or with your manager. From what you’ve said how am I supposed to know whether you meet the requirements for applying for the PMP exam? You might be a fisherman for all I know. You might be a very good fisherman but it doesn’t make you eligible. Who knows? Without more information I can’t advise you – no one should answer that question for you without finding out more. If you want to use your certificate as a way to get a job, research what employers in your sector in your country value and choose that. If you want to use your certificate to help you manage projects better then they all will if you are starting from scratch. If you’ve got a doctorate in project management you probably won’t benefit from doing either. More value to whom? In the UK government sector you aren’t going to get very far without a working knowledge of PRINCE2 because that is what’s valued. Different employers value different things. So do your research about what your employer (or your target employer/sector) wants and go for that one. By whom? By me as recruiter: PRINCE2. I work in an environment where all my colleagues have PRINCE2 and if you came in using the language and processes of the PMBOK Guide you would struggle to make yourself understood until you adopt the PRINCE2 approach. That doesn’t mean I wouldn’t employ you. Every employer, industry and country is different. Do your research about what would make the most sense for your career goals. PRINCE2 wouldn’t be ‘more recognised’ by everyone. Because you know what? Every employer, industry and country is different. Do your research about what would make the most sense for your career goals. Neither is better than the other. They are designed for two different levels of experience. Which is better for you? I don’t know anything about you so I can’t say. I don’t know what a project engineer is. Even if I did you haven’t told me about your level of education, experience in the job and training. Check the PMP manual and work it out based on your career path to date and what you can evidence. But that would be stupid. It’s stupid for the person giving the answer because unless I was their manager, mentor or coach I wouldn’t have enough information to help them make the best decision for their career. And it’s stupid for the person asking the question because they won’t get a good quality answer. They’ll either get a non-answer like I would give (“Do your research and decide for yourself”) or a quick-fix answer which doesn’t take their personal needs into account and could send them on an expensive and time-consuming path to a certificate that won’t help them grow as a project manager. Research your market. Understand what is important for your sector, employer and country. Know what your career goals are and where you want to be. Find out what will help you get that. Then go and get it. It’s a long answer and it’s a hard answer. Because it takes work on the part of the person asking the question. Why did you decide to take the qualifications that you did? I think that a CAPM/ITIL/APMP/PRINCE2/etc qualification will help me because [fill in blank]. What do you think about that? So, am I being too harsh? I can’t help feeling that the people I spoke to went home disappointed and I don’t like leaving people like that. If you have any ideas about how to answer questions like this honestly while not making people feel as if I have dodged the question, I am all ears. 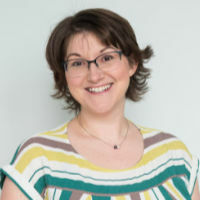 If you do want me to help you unpick the answers to your career questions, or anything else that you are struggling with in project management, I offer coaching via email/Skype and occasionally face-to-face. Let’s talk properly – not just a one sentence question – and with a more rounded picture I can definitely help you make the right choices. Find out more about my coaching services here. NO! You are not being too harsh. It is amazing how many people in the world lack the fundamental understanding that they are the Captain of their own ship and no one, but no one, can help answer these questions for them. What is interesting though, is to see how many of these people with these questions have no professional mentor or life coach in their lives…. I would say that a good answer would be to find a mentor or coach who will help guide them into asking the RIGHT questions. I did this many years ago and my mentors and coaches (I so many it’s almost ridiculous) have really helped me grow and develop! Andy, that’s a great tip! Having someone with whom you can bounce around ideas and generally be prompted into action through good questioning is a great career asset.